The saving grace of God in the strict sense of the word is not universal but particular, being bestowed only on God’s elect (those who have been chosen by him in Christ to salvation). God’s saving grace is therefore efficacious and unlosable. This does not mean that, left to themselves, believers could not drift away from God, but it does mean that God will not permit his chosen ones to lose their salvation. The spiritual security of believers, therefore, depends primarily not on their hold of God but on God’s hold of them. Yes! In Reformed theology “saved by grace alone” means “not by works at all.” Salvation is all of the Lord, it is all of grace, and all the glory goes to God! The above quote is found in Saved by Grace, p. 4. If you believe that the natural state of human beings today is that of moral and spiritual neutrality, so that they can do good or bad as they please (the Pelagian view), you will not even feel the need for an effectual call or for regeneration. If you believe that our natural state is one of spiritual and moral sickness, but that we all still have the ability to respond favorably to the gospel call (the Semi-Pelagian view), you will not need an effectual call. If you believe that, though we are partially or totally depraved, God gives to all a sufficient enabling grace so that everyone who hears the gospel call is able to accept it by cooperating with this sufficient grace (the Arminian view), you will not feel the need for an effectual call. But if you believe that we are by nature totally dead in sin, and therefore unable to respond favorably to the gospel call unless God in his sovereign grace changes our hearts so that we become spiritually alive (the Reformed view), you will realize how desperately you need God’s effectual call. The view last described, I believe, most faithfully reflects biblical teaching. Let me use an illustration. Let us suppose that you are drowning within earshot of friends on the shore. You cannot swim. Wishing to respect your integrity as a person, and wanting to enable you to help yourself as much as possible, one of your friends standing on the shore, an excellent swimmer, shouts to you that you should start swimming to shore. The advice, though well-meant, is worse than useless, since you can’t swim. What you need, and need desperately, is for your friend to jump in and tow you to shore with powerful strokes, so that your life may be saved. What you need at the moment is not just advice, good advice, even gracious advice—you need to be rescued! This, now, is our situation by nature. We are lost sinners. We are dead in sin. Being dead in sin, we cannot make ourselves alive. Since we are dead in sin, our ears are deaf to the gospel call and our eyes are blind to the gospel light. We need a miracle. This miracle occurs when God in his amazing grace calls us effectually through his Spirit from spiritual death to spiritual life, from spiritual darkness into his marvelous light. After we have been made spiritually alive, we can once again become actively involved in the process of our salvation—in repentance, faith, sanctification, and perseverance. But at the very beginning of the process, at the point where, being spiritually dead, we need to become spiritually alive, we need nothing less than a miraculous rescue from the murky waters of sin in which, if left alone, we would drown. This is what happens in the effectual call. 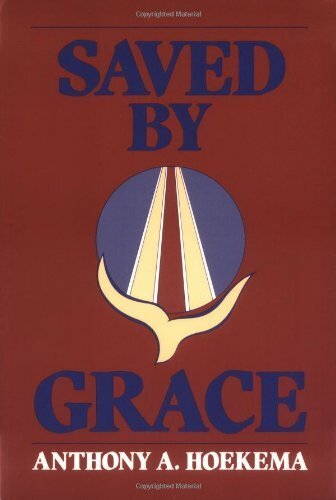 Anthony A. Hoekema, Saved by Grace (Grand Rapids, MI; Cambridge, U.K.: William B. Eerdmans Publishing Company, 1994), 91.